Perfect LED lights for your truck, atv, jeep, etc. CWL503 LED Round Work Light - Clear includes one 4-Inch clear flood beam light and installation kit. 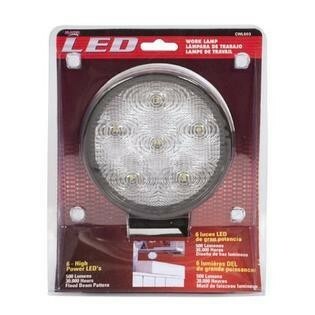 It features an aluminum die-case housing and polycarbonate lens, and six 3-Watt high output LEDs. Tough Lights for Tough Work! 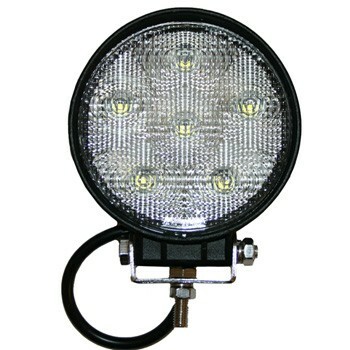 Blazers Heavy-duty lights are designed for agricultural and industrial use. The tractor and work lights come in three specific beam patterns including: Trapezoid - Designed to illuminate a "box" in front of the vehicle, Flood - Produces a wide pattern over a general area close to the vehicle, and Spotlight - Produces a narrow, long-range beam that can illuminate areas at long distance.